But traditional banks aren't the only places to get small business loans. 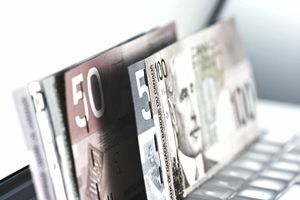 If your small business is looking for money, here are ten other Canadian small business loan sources where you may be able to get the funding you need. Here is a look at small business loan sources beyond a bank loan. Established to help new businesses get started and established firms make improvements and expand, this small business loan program provides up to $500,000 of small business financing for any one business. You can apply to this program at any bank, Caisse Populaire, or credit union in Canada. If your business qualifies, you can get up to $100,000 in long-term financing to do things such as participate in trade shows, develop e-commerce, create and implement a marketing plan or even purchase additional inventory. And just to make it even sweeter, BDC can re-advance any repaid portion of the loan starting at a minimum of $10,000. This program is designed to help small businesses in the start-up or early growth phase (the first 12 months of sales) who "can demonstrate realistic market and sales potential". Such a business may be eligible for a small business loan of up to $100,000 which may be used as working capital, for marketing and start-up expenses, to acquire fixed assets or to buy a franchise. Some financial institutions offer small business loans of up to $15,000 earmarked for people who would have difficulty getting a traditional business loan. For instance, Western Economic Diversification Canada (WD) offers a microloan program to provide small business loans to small businesses in Vancouver, Victoria, Edmonton, Regina, Saskatoon, and Winnipeg. (Follow the link to read the eligibility criteria for each program.) Ask your credit union or Caisse Populaire if they have such a small business loan program. Community Investment Funds are non-profit organizations dedicated to helping people who can't get the loans they need from traditional lending institutions. Depending on the particular loan fund, you may be able to get a small business loan from $2000 up to $150,000. Where to Get a Small Business Loan When the Banks Turn You Down presents examples of Community Loan Funds across the country. Many of the organizations that work to help women succeed in business offer small business loans. I've put together a sampling of women's organizations across Canada and the small business loan services they offer in Small Business Loans for Women in Canada. Even better than a small business loan, this program offers non-repayable contributions (a.k.a. small business grants) of up to $99,999 for eligible individual entrepreneurs. You must be of Aboriginal heritage and have a viable business opportunity to apply. The money may be used for start-up as well as expanding or marketing your small business. If you are an entrepreneur (or hopeful entrepreneur) between the ages of 18 and 35, there are several special small business loan programs you may be able to benefit from. If you are in Quebec, you might apply for the Youth Strategy Program CED-CFDC, which may provide a personal loan of between $5000 and $15,000 and personalized assistance to young entrepreneurs who want to start, expand or modernize a small business "within the territory of one of Quebec's Community Futures Development Corporations". And the Canadian Youth Business Foundation offers several different financing programs to support entrepreneurs aged 18 to 34, including one that provides start-up small business loans of up to $15,000. Angel investors are individuals that look to fund small businesses that they consider to be good investments. Typically, angel investors look for higher returns than provided by the stock market and want to take an active role in the business. If you can handle these two things, an angel investor can be a great small business loan source. See How to Find an Angel Investor and 7 Tips for Persuading Angel Investors to Invest in Your Business for more information. I would be remiss if I didn't mention these people as potential sources of a small business loan, because so many small business owners and would-be entrepreneurs get the money they need to start or carry on their enterprise from these folk that I listed it as the second most popular source of small business loans in my article, 8 Sources of Business Start Up Money. While all of these small business loan sources have different eligibility requirements, they all have one thing in common; they all expect you to have a viable business idea, and that means having a solid business plan on paper. If you don't have one, my Writing a Business Plan series that starts with the Business Plan Outline will guide you through the process of putting one together. You also need to prepare yourself to present your business plan and make the case for funding your small business, whether through a formal application process, in person, or both. How to Get a Small Business Loan will show you how to increase your chances of getting a small business loan by being prepared to meet the lender's expectations.